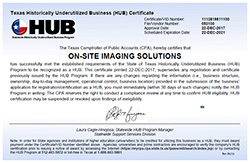 Besides selling copiers and Label presses, On-Site Imaging Solutions does a lot of repairs every day. 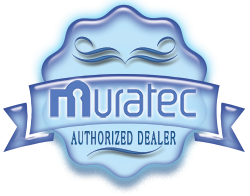 We repair almost every make and model out there, from multi function copiers to laser printers. We work on a lot of office and business machines. One of the most common questions I get asked is, how often should I have my office machine maintained? That is an important question, especially if you depend on your machine every day. A copier or a printer in a lot of ways are just like a car. They both have moving mechanical parts, and because of this, they both have to be serviced on a regular basis in order for them not to break down. And just like a car that has tires, a copier or a printer also have tires, only they are called pick up rollers. Depending on the make and model, pick up rollers will last anywhere from 60,000 to 350,000 pages, some go even higher! When we do a cleaning on a machine, we always look at the pick up rollers, specifically the treads. Just like the treads on the tire of the car, pick up rollers on a copier also have treads, and if they are worn bad enough, they will cause a lot of paper jams. New pick up rollers are easily put in to take care of this problem! So, here’s the question, why don’t people use a can of pressurized air? Most people know the answer to this question because it’s so obvious, because if you do, you’ll get dust all over the windows and mirrors and upholstery and basically everything! It will be a bigger mess than when you first started. Well it’s the same thing with the copier, only in this instance, the mirrors and windows are hidden, but they are still there. Every copier, every printer has optics of some kind. Little mini mirrors and windows, and if those mirrors and windows get Dust in them, the print outs or copies are going to look terrible. This can really frustrate the owner of the office machine. Sometimes they go out and buy a new toner cartridge and they get the same print out, or they spray even more air in the machine but nothing seems to work, they still get a dirty or faded printout. That’s why regular maintenance cleanings are so important. Regular maintenance cleanings done by qualified technicians will make sure that there are no more dirty printouts, or faded print outs, or never any more paper jams. Can you guess what the most common tool to clean the inside of a copier or laser printer is for a qualified technician? Yes, you guessed right, a vacuum cleaner! A very special vacuum cleaner is used, it’s called a toner vacuum cleaner, it has a filter in it to make sure that toner does not get back in the air once it is sucked out of the machine. The inside of a copier or printer can get pretty dirty and nowadays everything is going color and the toner is much finer than it used to be. When people use a can of air in their office machine, that toner not only gets in the optics of the machine but also into the lungs of the people who are cleaning the machine and everybody else in the room where it is located. That’s why it’s so important not to use a can of air. 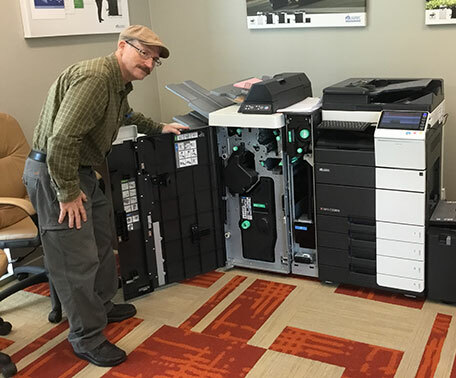 If your machine is giving you dirty print outs, if you have a toner spill, call a copier technician so that they can properly clean that machine for you. So, when I have people that ask me how often should I get my machine maintained or cleaned, I will always say once or twice a year. Depending on how heavily that machine is used, or if there’s an excessive amount of toner spills then cleaning once or twice a year might have to be done once a quarter, so it always depends on the usage of that machine. If your office machines are not running smoothly, you can always call your repair company and ask them about their maintenance plans or they can at least give you some ideas that might help you. Sometimes a good cleaning for your office machine is all that you need to make it run smoothly again!